Have you heard of this event? Or something similar? 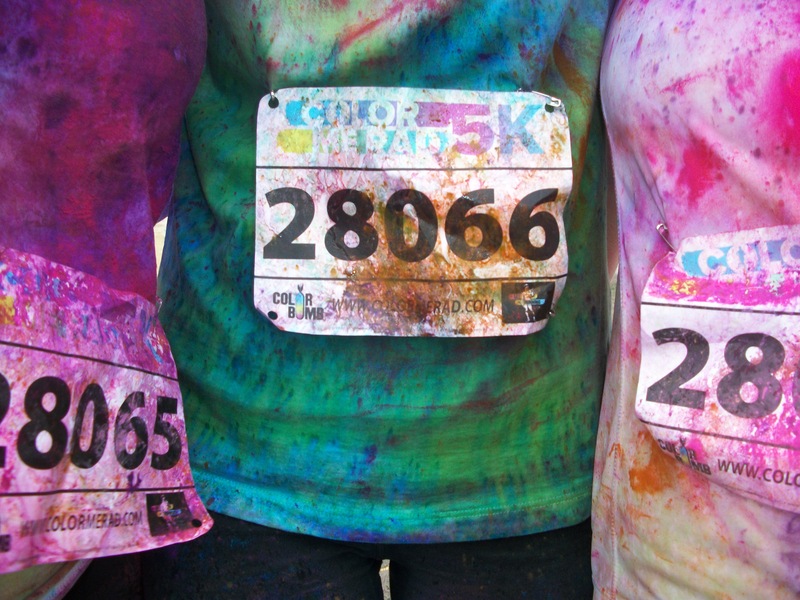 It seems like color runs are popping up all over the place these days. 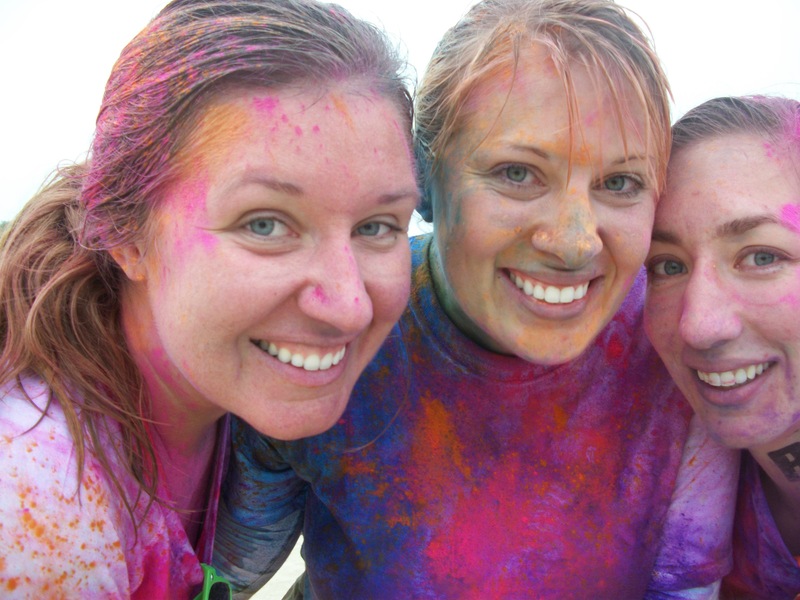 In case you’ve totally been living under a rock, a color run is generally a 5k, in which you get completely doused with powdery colors of the rainbow. 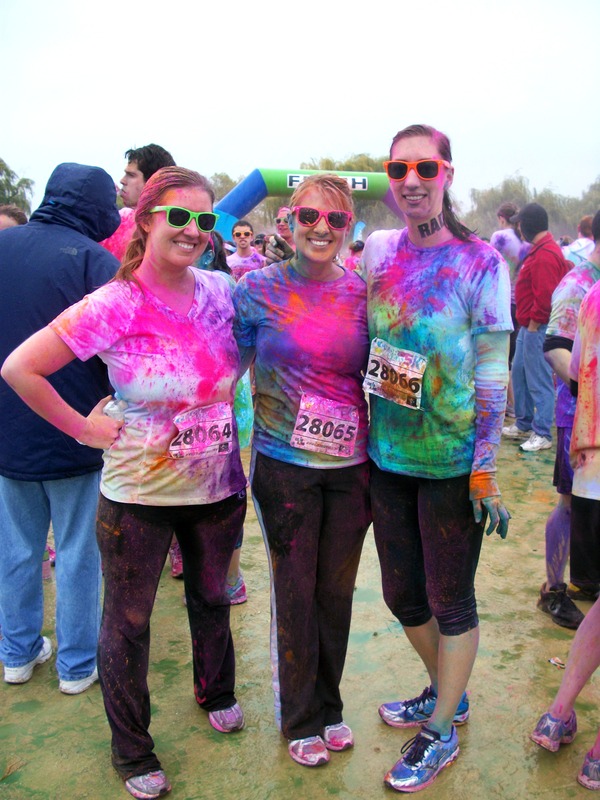 By the end of the race, you look like you’ve been hit by a tie-dye bomb. Which is quite the contrast from how we started. I received free race entries for my friends and I by responding to some social media the Color Me Rad dude posted on Facebook. I have to admit, even when I signed up, I didn’t picture myself participating. I’m not a runner. I’m not sure I’ll ever be a runner. But for some reason, I signed up to run a 5k. The morning of the race was rainy, gloomy, and cold. I worked the closing shift the night before so slept for approximately 3 hours before I went to pick up my friend Melissa & head to the race site. I was not excited. In fact, not excited doesn’t even begin to explain how I was feeling. 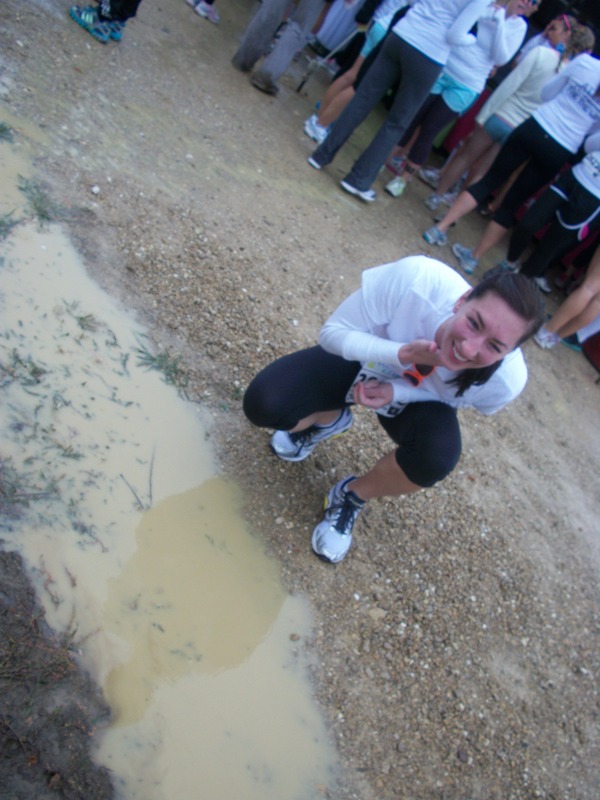 The combination of crappy weather, lack of sleep and well, my inability to run a 5k was making me a pretty grumpy Gus. 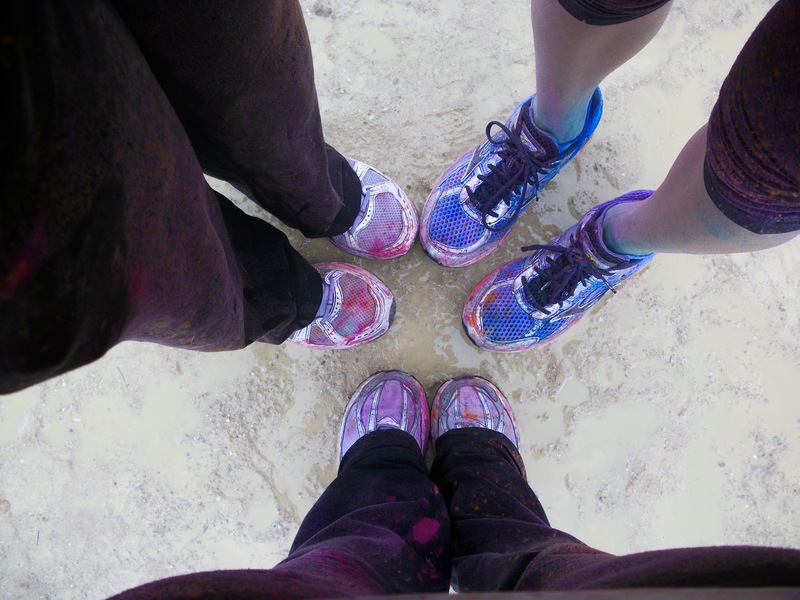 We stepped foot onto the muddy race site & tried to make sense of it all. 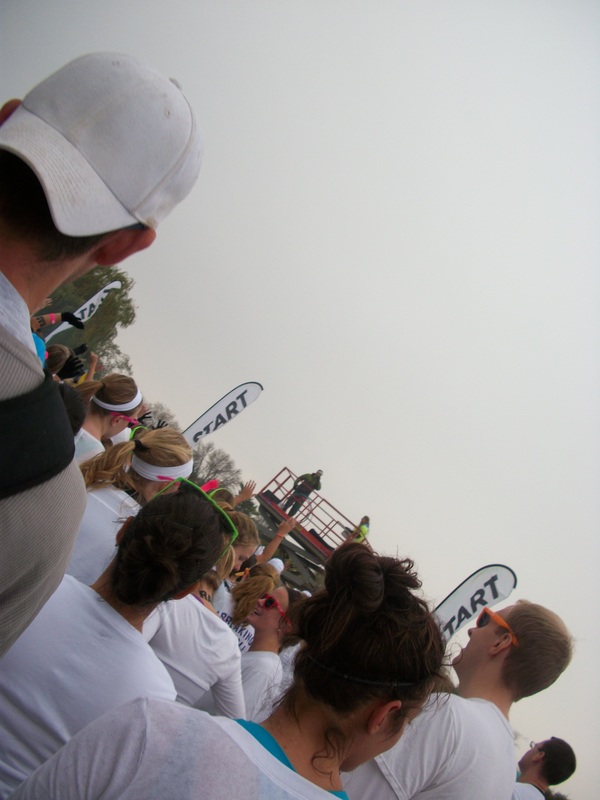 We soon realized that due to the pure fun run nature of this event, there really was no sense to be made. Basically, you just get in the starting line corral & they let a certain amount of people start running every 10 minutes or so. We walked around & mooched some safety pins from a grumpy vendor so we could affix our race numbers. Next, it was time to apply our RAD tattoos. We found a really clean mud puddle & got to inking ourselves. 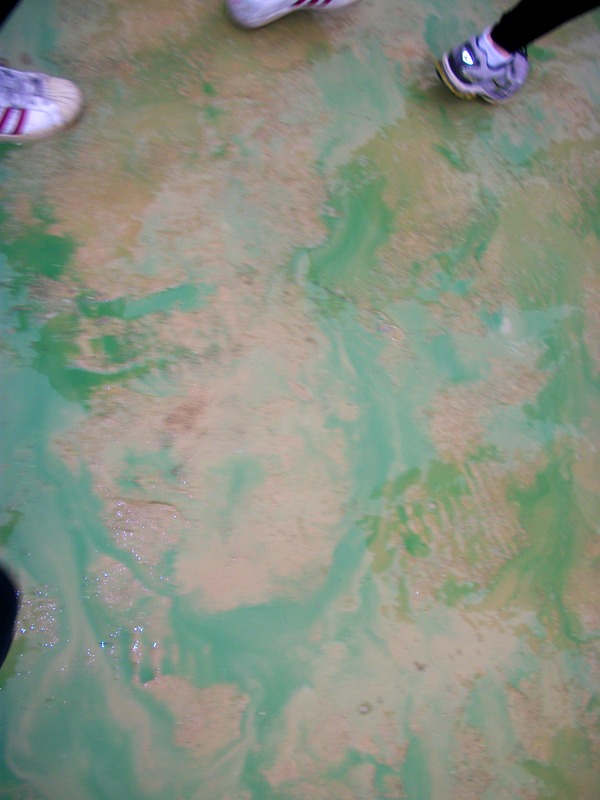 The CMR dude was on a lift, with a loudspeaker in hand, and a box of powdered color bombs. Everyone was still so clean at this point! He kept rattling on about how if you’re going for a PR, this isn’t the race for you. If you’re trying to get first place in your wave, this isn’t the race for you. This all made me feel pretty great. There was an overall fun vibe in the air, despite the gloomy weather, and I definitely got a little adrenaline rush as our wave started running. Melissa took off ahead of Holly & I. Her leg length alone makes her about a billion times faster than Holly & I, plus she runs every day. We didn’t want to hold her back. I figured I would be walking as soon as I rounded the first corner, but Holly & I impressed ourselves by running much longer than we ever though we would. The rain held off throughout most of the run, but did come down pretty heavily at one point. Holly & I walked a little bit here & there before meeting up with Mel. We all walked together for a bit & then finished of the race together running. If I had to guess I would say that I ran at least half of the course, which is so much more than I ever thought I could do! If you’re a runner and reading this, don’t make fun! Running has never been my thing, but I’m really trying to get into it. 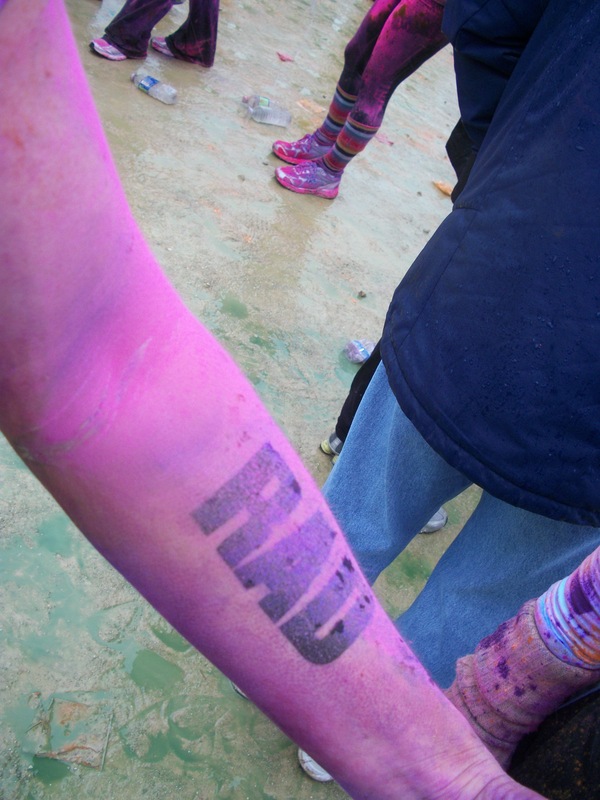 Every mile or so there was a “color station” where you would get doused with a new color. The end was basically a free for all. 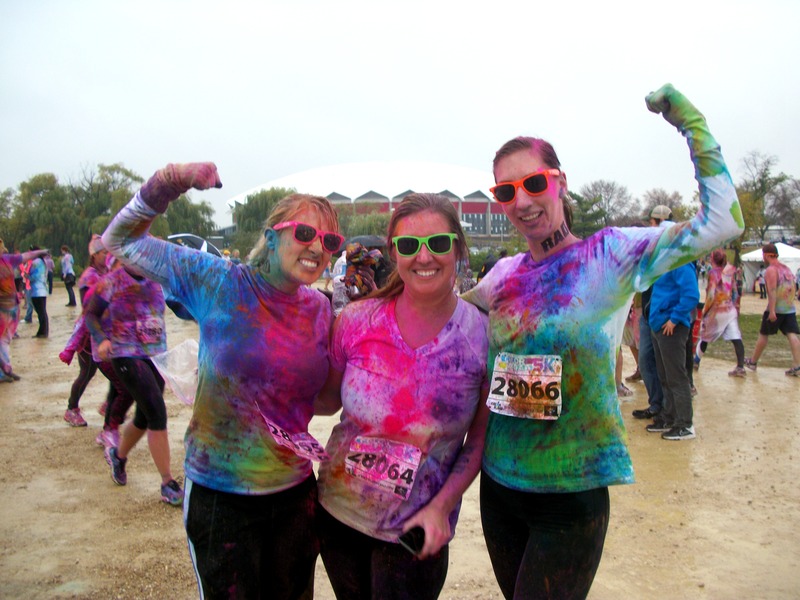 Each person was given their own color bomb & bystanders were throwing color at us as we crossed the finished line. It was awesome RAD. A post-run photo session ensued, of course. Perhaps the most colorful photo session ever! I’m so glad I took part in this event. It was the perfect first run for me. 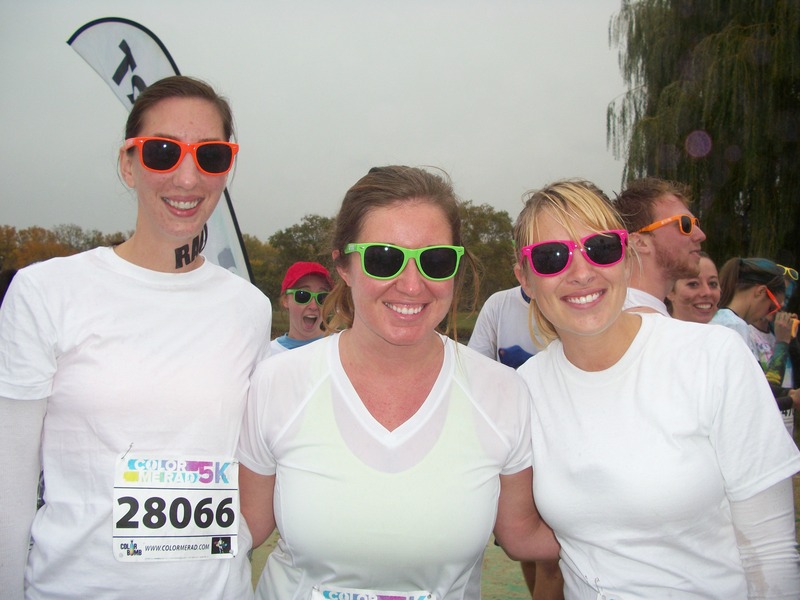 I ran with rad girlfriends. It inspired me to run more, without the pressure of being timed. The proceeds went to a great cause. The smiles & laughter were good for the soul. 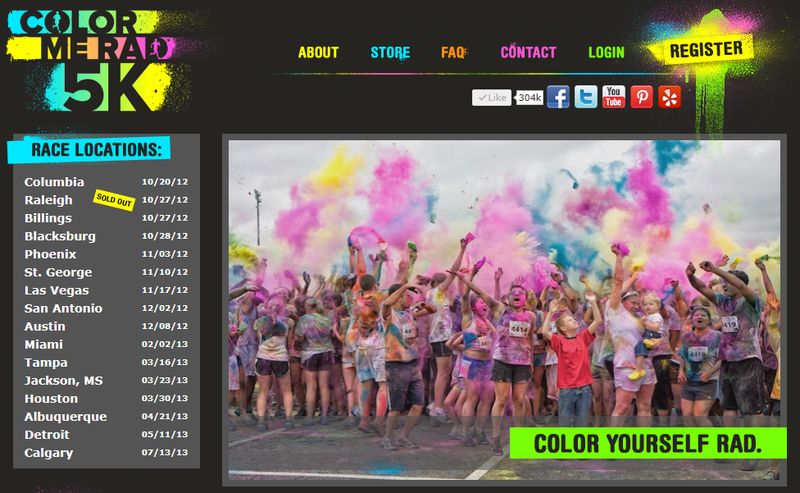 If Color Me Rad is coming to a location near you, do yourself a favor and sign up. All ages. All shapes. All sizes. All running (or walking) abilities. Do it. I must also mention that immediately following the run, we went to Weary Traveler, where I ate the most delicious plate of biscuits and gravy I’ve ever tasted. I haven’t stopped thinking about it. I also had a pretty freaking great pumpkin pie latte, and an even better nap. It was a really rad day. Ah! 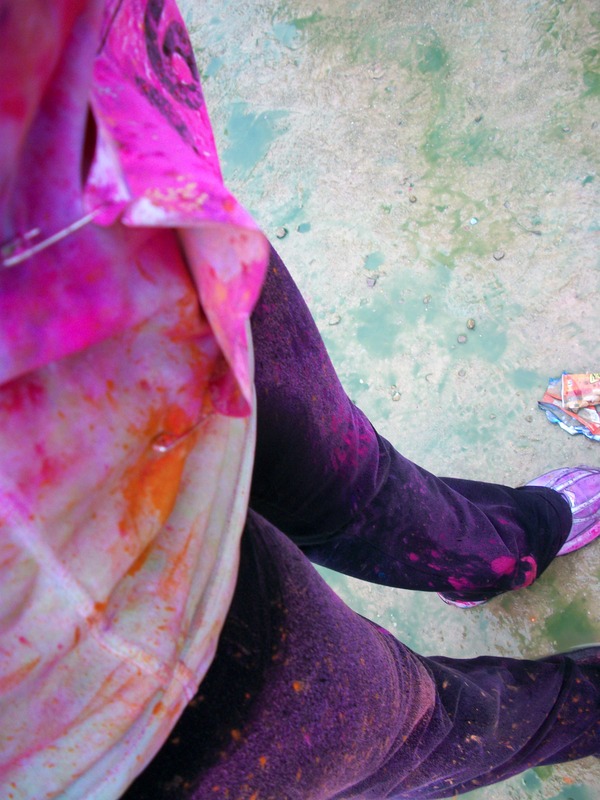 I don’t think I could ever do a color run. I’m pretty girly in that way, I hate getting dirty! 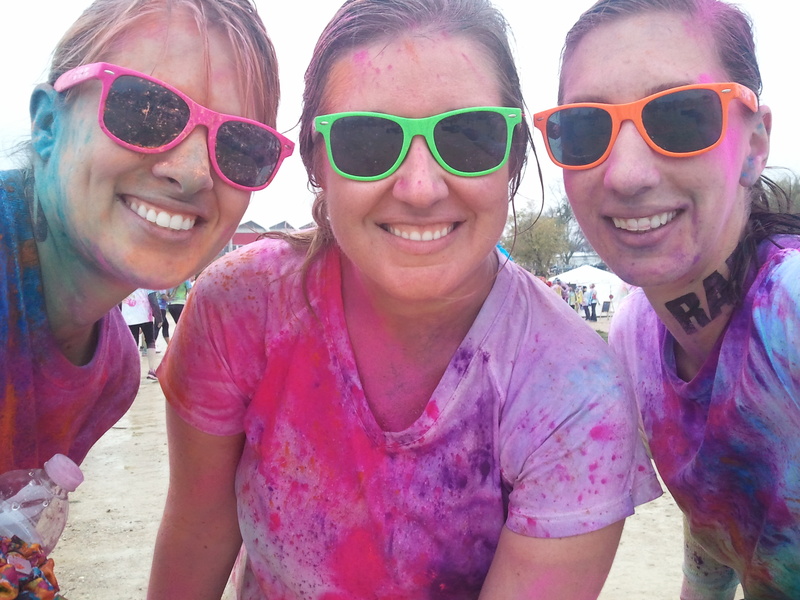 LOVE all the colors….looks like you had a blast!